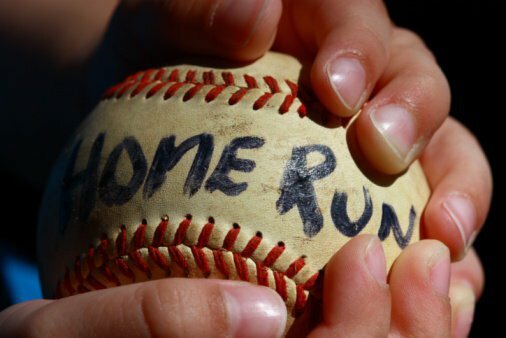 Life and relationships, in regards to creating success, is much like batting in baseball. You will strikeout, be hit by pitches, hit a homer, or something in-between. I have loved baseball as far back as I can remember. I played the game as a youth; as an adult an avid fan of MLB. Specifically, a Yankee fan for nearly half a century. As a player, I was not what you called a power hitter. I hit simply to get on base. To get on base in baseball is success. Get a hit every 3 out of 10 at bats and you’re a star. All baseball scholars and historians always cite the “Babe” as the measure of true success. Recall that he struck out way more than he hit home runs, yet what is his legacy about? The 714 homers he hit, of course. Great hitters hone their skills by rising above the strikeouts, ground outs and fly outs. A master ballplayer knows that creating success for himself and more importantly for his team requires consistency, persistence and laser focus. Like baseball, your life and relationships require you to hone your skills to create hits and score runs both professionally and personally. Life and all your relationships are a game that requires your full participation. This is what is meant by living life to its full potential. It’s about keeping your “eye on the prize.” What are your eyes currently focusing on? The prize? Or the fact that the prize seems out of reach? When a championship season for your life and your relationships feels like an impossibility and you feel like the Chicago Cubs, it is time to start asking questions. Asking questions will shake you up and even change your outlook. The hitter who bats .300 every season is an athlete who without doubt gets brutally honest with himself when a batting slump appears. He doesn’t beat himself up. More likely, he observes himself from within to see where he may be out of alignment emotionally. If he isn’t willing to do this the slump will continue. Are you willing to observe yourself? As a Life and Relationship Coach I have assisted hundreds of individuals over the years create awareness about how they are playing the game of life. Being a star in the game that is your life, like any sport, requires consistency of effort, vision and being comfortable in your own skin. It also requires you to enjoy the process and have fun on the journey. A game that doesn’t feel like fun isn’t worth playing. I was never a .300 hitter; however, I pride myself on being an All-Star hitting coach when it comes to life and relationships. If you seek to become an All-Star and be a champion in your life and relationships contact me. Play ball! I think this is a great analogy relating this sport to life and how similar they really can be. A baseball athlete in this case has far shorter time in his “baseball life” to prove himself to be the all- star or the home run hitter. In most of our lives (if we are fortunate), we have far more time to focus on the prize and a better chance of achieving it. There is no age restriction for us to be successful. The key is to continually look in that mirror and be honest with yourself. Some days you may be a home run hitter and some days you maybe happy with just a bunt single but you can always happy because your still in the game. On any give day anyone can be that winner.